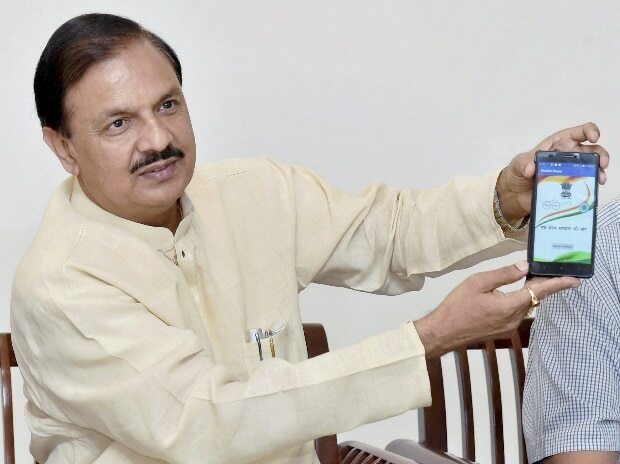 Culture Minister Mahesh Sharma launches a mobile app at National Museum in New Delhi. File photo. Take Gautam Buddh Nagar (or Noida) Lok Sabha constituency in Uttar Pradesh, which goes to the polls on 11 April. The Bharatiya Janata Party (BJP)’s sitting candidate is Dr Mahesh Sharma, an amiable doctor who owns a huge hospital in the heart of NOIDA and is currently Union Minister of Culture. In 2014, there was universal endorsement of Sharma. ‘He really takes care of us’ said a constituent fervently. ‘whenever there is any medical crisis, we know we can fall back on Kailash Hospital (Dr Sharma’s hospital) for treatment.’ Sharma would offer treatment at highly subsidised rates to people for his constituency, especially if they came with local references. It worked in 2014. Sharma won by a margin of over 3 lakh votes, defeating Samajwadi Party’s Narendra Bhati, on the back of charity. There was also the Modi wave. In theory the Modi charisma should work this time too. But last week, when Sharma visited rural areas, specifically Mirzapur village in Dankaur district, he was told to go back – that he had done nothing for the villages. Rural areas – Dadri, Jewar and Dankaur - hold the key to victory in Noida. Against an average turnout of 67 per cent, the urban areas in Noida -residential colonies around the malls and the cinema halls – reported a turnout of around 51 per cent, telling its own tale about the lack of interest in politics in urban India. Caste too plays a big role. The biggest chunk of the rural population of farmers is Gujjar. This time, Satveer Nagar is the joint Samajwadi Party-Bahujan Samaj Party candidate – and he is going to file his nomination on 22 March, a day after Holi. There is some presence of Thakurs and on the back of that, Home Minister Rajnath Singh’s son Pankaj won an assembly segment in the UP assembly elections. But his father has dismissed all speculation of being fielded from Noida: he will contest from Lucknow, he has said, quite firmly. Cash – or rather wealth – has played a big role in the elections. Holdings in this part of UP are not small: and they are worth a LOT of money. These are not cowering farmers at the mercy of the elements. They are wealthy and most of them have other sources of hefty income, mostly rental income. Many have sold their land and some own Land Rovers and Audi cars. In the circumstances, Dr Sharma is finding the going a bit tough. He has just come out with a glossy booklet listing his achievements, among them being claiming the credit for the Jewar airport, and extensions to the Metro. But the decision to extend the metro line was not solely at his behest. And the Jewar airport will take years to build. There are rumours that Sharma might shift to Alwar in Rajasthan where his caste is present in large numbers. ‘Even then, he will lose’ declared grocery shop owner, Vinod Dikshit. ‘You can’t win an election on caste alone these days’. But this is a contradiction. NOIDA has a sizeable voting population of Jatavs who are sworn BSP supporters. If the Jatavs and the Gujjars (otherwise bitter enemies) get together to turf Sharma out well, he will be turfed out. So what really wins elections? Cash, charity or caste? Maybe the truth is: unless your constituents see you and your tangible development work in the constituency, they will not vote for you, everything else notwithstanding. This is what makes Indian elections so fascinating.